Life seems to just slow down. No extracurricular events to rush to, homework to do…I seem to slow down too, especially when it comes to cooking dinner. 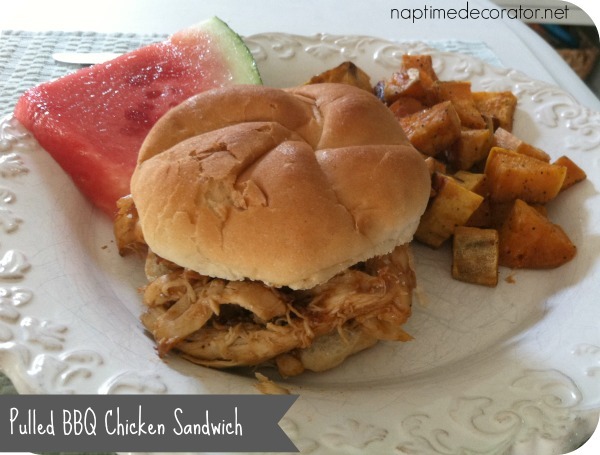 I trade in the more time consuming comfort foods for light,quick, and super easy meals. This year more than ever, now that the kids are getting older and I can’t drag them away from the pool! We spend our days there, and come home right before dinner. Last thing I feel like doing is cooking, yet I’ve got 4 hungry people depending on me for just that. And in like, 30 minutes or less. Seriously people. It is THE BEST. One night while I was cooking dinner, it hit me that this might just make a good blog post. I mean, who wouldn’t want some CRAZY easy and simple (and QUICK!) 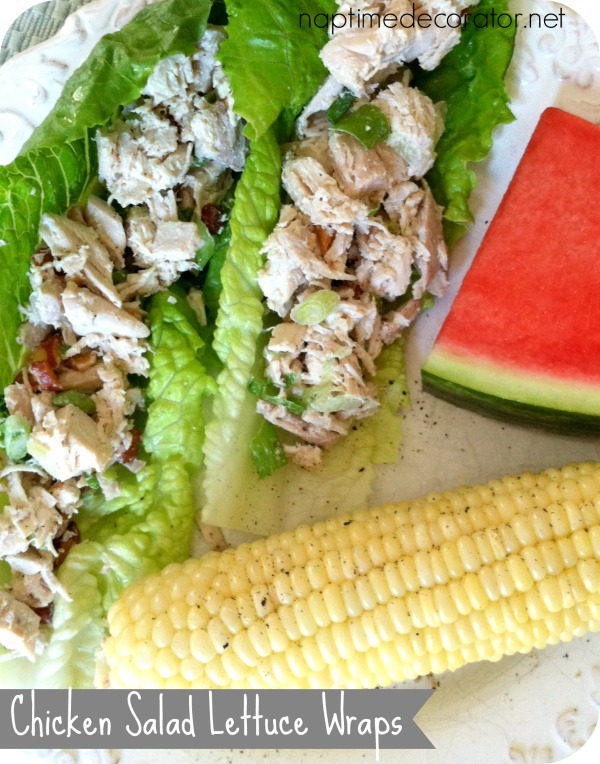 meals to add to their summer meal rotation?! I apologize for the photos. I took them with my camera phone because, well, it’s just too time consuming to get the good camera out while I’m throwing dinner together! 😉 My apologies. Enough gabbing, let’s get to the dinners, shall we? This consists of chopped chicken and your favorite bbq sauce. THE END. Heat them up in a small pan/pot, and stick it on a bun. I like to roast chopped sweet potatoes alongside, and watermelon. Pretty much each and every dinner from the months of May-August include a plate of watermelon. We can’t get enough. 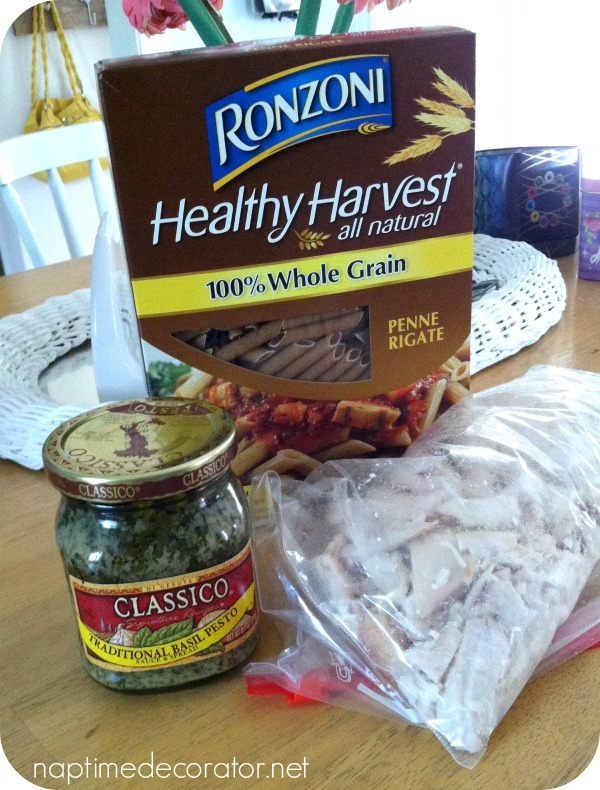 Pesto, chopped chicken, and penne pasta. 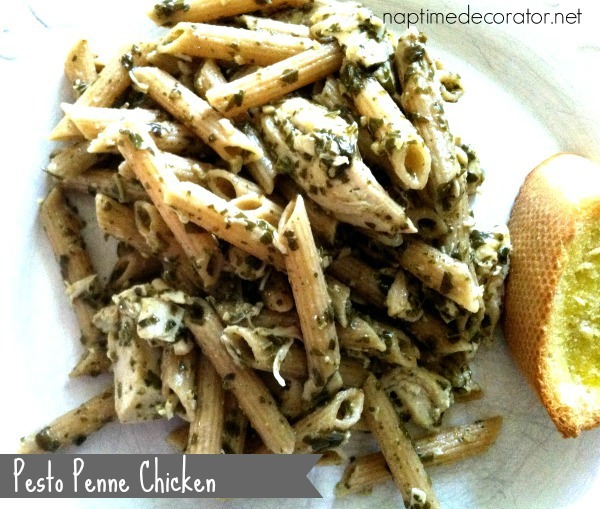 Just heat up the pesto and chicken, then add the cooked penne. I save a little pasta water to add to it so it’s not dry. That’s it. Serve with some garlic bread and salad. 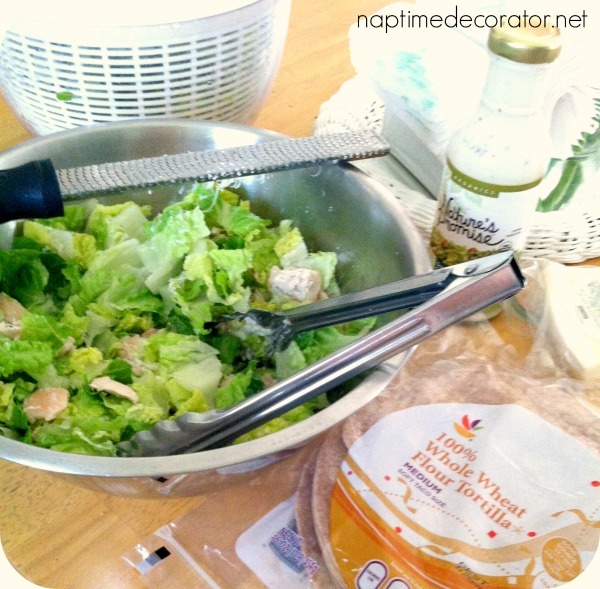 Your favorite chicken salad recipe on romaine leaves. Again, with my favorite sides apparently, corn on the cob and watermelon! To make my chicken salad, I add a little mayo, a little sour cream, chopped rosemary, chopped smokehouse almonds, chopped green onions, and salt and pepper. To make these meals happen in no time, I chop my rotisserie chicken as soon as we get back from the store, and bag it up in the fridge. That way, it’s all ready to go when you walk in the door and have to get dinner going. Hope these ideas help you next time you’ve got to get dinner on the table fast. Gotta love that rotisserie chicken! 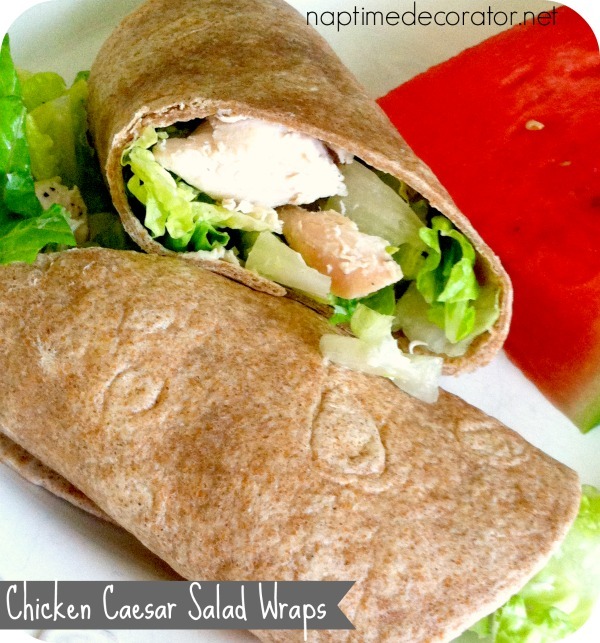 Love love love these dinner ideas!!!! 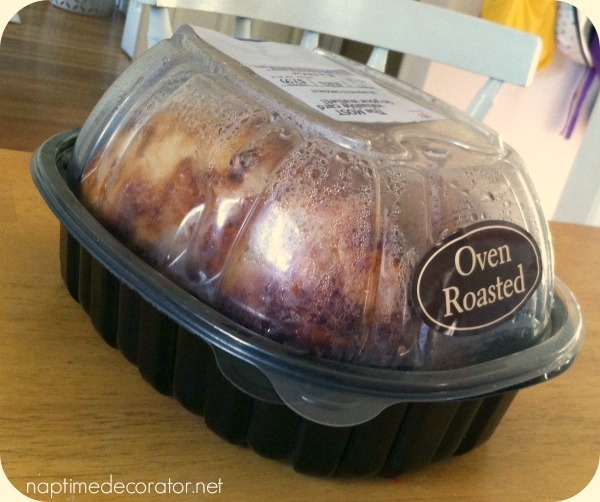 I so have to try these because we love rotisserie chicken! Love! Thanks for all the great ideas!! Thanks for these ideas! I am adding a few into my weekly menu plan now!